Poeple with the Moon in Libra do not like to be alone and they look for a permanent partner with who to share their life. A lot of them will marry being Young or they will decide to live with the partner really fast. These natives attend to any kind of conciliation to try to keep peace in their relations, even when they are not sure of what they are saying, they will give the reason to the other to try to avoid problems. They are sociable, friendly and they love debate. They are very attractive and they are very charming, what leads them to flirt in a lot of opportunities. They are gentile and they have good manners, besides the fact that they are always really well dressed. Even when they do not want it, they will always see defects in their partners and in all what surrounds them. 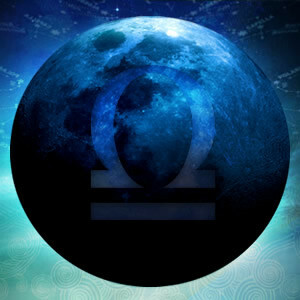 People born with the Moon in Libra like to achieve their goals with the support of the others. They are excellent organizers and it is very hard that they give tasks to do to other people; they solve problems easily and they pay attention to the small details in everything. They are very good at working in team to create strategies. In their personal life, they can feel inconsistency and an excess of self-indulgence. They are very dubitative and they change their mood constantly. They are also transparent people for who is hard to hide their feelings. At the same time and with the same easiness, these natives can adapt and change their personality to be fine with the ones with who they share their time. Balance is their slogan in life and, if they feel that their life lacks this feature, they will look to solve it with urgency, even if to do so it is necessary to eliminate someone in their closest circle.